Berlin School of Business and Innovation (BSBI) officially opened on Tuesday 6 November in Berlin. The ceremonial event celebrated the first achievements of the young institution, as well as announcing future developments. BSBI launched earlier in 2018 with bachelor’s and master’s degrees in business administration; tourism, hospitality and events management; marketing; finance, fashion retail and luxury management. The school welcomed its second intake in October, reaching over a 100 new students coming from India, Mexico, Pakistan, Italy, Greece, Jordan, China, Azerbaijani, Lebanese, Nepal, Tadzhikistan, France; and it is currently expanding its portfolio of courses and collaborations. The event was hosted by Alexander Zeitelhack, recently appointed Associate Dean at BSBI, who outlined the vision of the institution in his opening speech. “Our mission is to educate, train and integrate students from all over the world into the German culture and economic landscape. As a testament to BSBI’s commitment in opening new opportunities to students, the event saw the participation of representatives of businesses, education providers and employment sector who share the schools’ values and attention for innovation. The keynote speakers included Professor Marco De Marco, Dean of Economy Faculty at International Telematic University UNINETTUNO, and Andreas Gall, Chief Innovation Officer at Red Bull Media House. 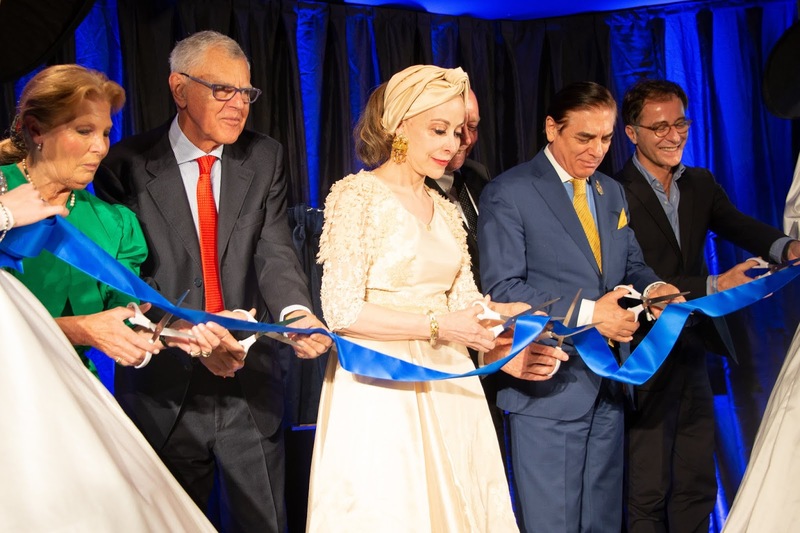 The ribbon-cutting ceremony marking the official opening of the school was led by His Royal Highness Prince Paul Philippe Hohenzollern of Romania and Her Royal Highness Princess Lia of Romania, Patrons of BSBI. They were introduced alongside Her Serene Highness Princess Madeleine of Bentheim and Steinfurt, Honorary Patron of BSBI. The school’s patrons will play an instrumental role in helping the institution deliver its vision of inclusive business education. Thanks to their support, the school has launched the BSBI Patron Scholarship, a grant designed to give domestic, European and international students the opportunity to study in Berlin. Berlin School of Business and Innovation combines traditional classroom-based teaching and blended learning. The school also works with several partners to provide students with dedicated services, learning resources outside the classroom and career opportunities. Sagi Hartov, Executive Chairman and Co-Founder of BSBI, recognised the support given to the school by these collaborations: “Our students are our main focus and we believe that we need to provide for them beyond the academic offer.